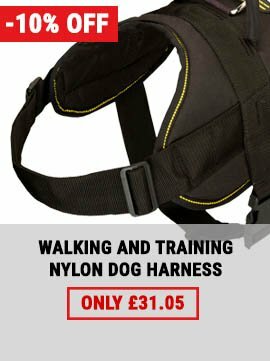 What kind of dog collar you wish for your Amstaff for day-to-day walking and exercising? By far the best is your answer. And what are the main features of the best collar? Wearability, safety, prime quality and eye appeal. But where to get that sort of a collar for your dog? Here! We have a worthy example of such a collar for your Amstaff. 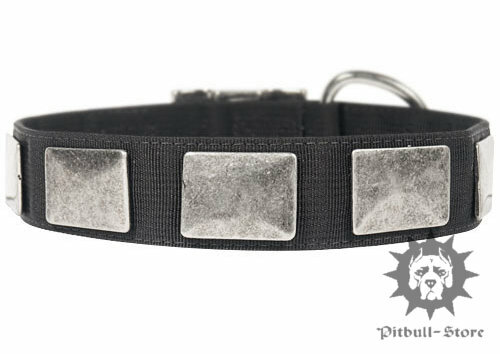 Here is a wide nylon dog collar with nickel plates. It combines all the characteristics we mentioned above and even more! 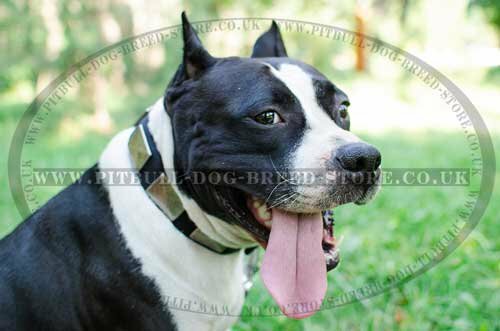 Nylon answers for wearing property and safeness, nickel plates for attraction, all they make a bang-up Amstaff collar. 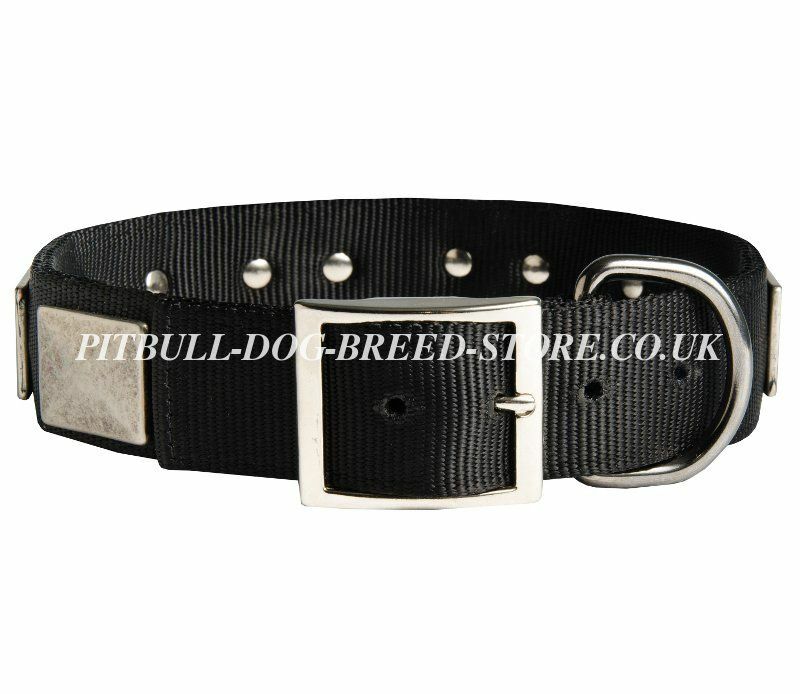 Your American Staffy will enjoy the collar and you'll discover it really worthy! 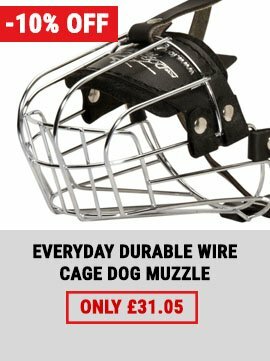 Say "No" discomfort and off quality of the dog accessories! Shop at our dog store and you see that your Amstaff will wear only the best accessories! 1. The time it took get the order was way to long but I am completely satisfied with the product and other have made comment on it especially the quality of the product hope maybe some other have order from you that have seen your product and ask about it. It has completely stop his pulling if we put that collar on to walk him. Thank for making a quality product that works. See this wide dog collar in leather. 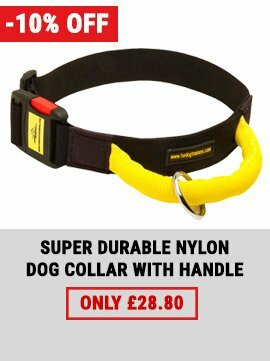 Do you want to know how you can help your Amstaff get used to the collar? Read the answer here.